“Hello” It’s now the start of the 2009 season with a nice selection of spring fish showing, hope you enjoy my fishing reports from around Devon also this year I am lucky enough to be visiting Mexico on a Family holiday.With a little luck and clever planning I should be able to get out a few times, I will report my fortunes here in May time. ” Hello ” I’m one of the three mentioned in the above Blog written by Rob Jones, the other being my brother Paul Chinnock. Paul and I have been shore fishing together for many years now, but it was through kayak fishing we met Rob ( yakerbass ) about three years ago. Kayak fishing is now becoming a increasingly popular sport.The type of kayaks we use are sit on tops made by Ocean Kayak ( Prowler 15 ) ,we have added a few accessories to our kayaks such as fish finders, G.P.S.,anchor systems,rod holders & with safety in mind V.H.F radio. 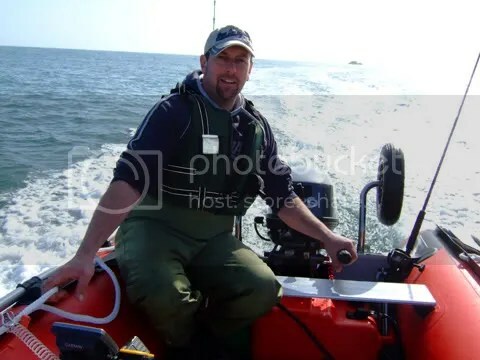 Hi fellow kayakers and fishermen,My name is Paul Chinnock also one of the above named nutters.I love fishing especially from the kayak and our shore bass outings which we have every year in different locations around the s/w coast.Rob is my best mate and mark is my brother,we have some very good laughs along the way so if any one wants to come out or see some of the fun we have give us a shout or just watch the videos on youtube. HI John Glad you liked the vid, well done on the plaice we are after them little blighters just cant seem to get a break in the weather. It’s good to here from you again, nice plaice mate we must all meet up again this summer. I was out a few weeks back had fun with some schoolie bass on light gear, waiting for that Big one still this year! I’m just starting out in kayak fishing (I’m PuppySandwiches on YouTube). I’ve been enjoying your videos! Looking forward to getting in amongst the fist asap. Nice yakchap hope you have lots of fish on your new yak and don’t forget we are here to help so any questions you have we will be more than happy to answer. Hi, Great site. I hired a Kayak at Oxwich Bay, Gower on Sunday and I’m bitten by the bug. I really fancy buying one for fishing and fun. I will need to research as much as possible before I commit to buy. Your site is brilliant for info. HI Trussman thanks for your kind comments, I am glad you enjoyed your paddle in Oxwich Bay. the best thing that you can do is visit this site and join the forum, it is full of good information and the people here are very welcoming. myself and my friends chose prowler 15’s because it fitted the criteria we needed but there are so many out there it is a bit of a mine field. HI Jason Tarpon 100 nice Yak, you don’t need an expensive one all you are using it for is to look for features on the bottom that may hold fish, so just a basic one will do you fine. I would recommend a small 12 volt gel battery I go one for about £12 and the pick up a charger that will do the job. 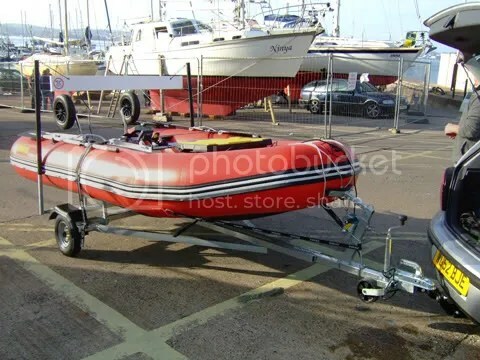 Hi, just bought a Clear Blue Hawaii Lanikai inflatable due to size restrictions (cant store a hard top) and living in paignton, can you recommend any fishing hot spots and rig tips ? PS Be careful of hooks on your inflatable yak ! I’ve been experimenting with an inflatable yak now for a year and found them to be practical enough. Sadly my first yak has now expired, having developed a split in the seam that will cost as much to repair as the boat did. 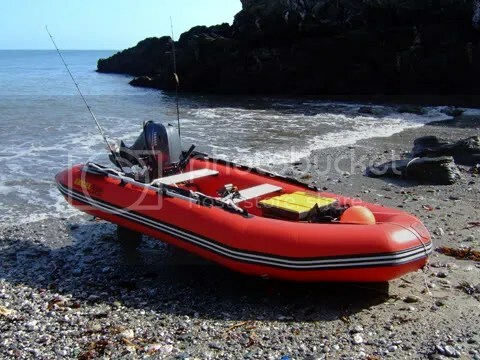 I’d be interested to hear your opinions of of your new inflatable boat as I am about to experiment with one of those American style inflatable pontoon boats. Happy fishing. Mark cleans up with a nice Ballan !